The Cochiti people are thought to have come from the Anasazi people, who lived near Frijoles Canyon. They settled in this area sometime around 1250AD. The Cochiti Pueblo was infrequently visited by the Spanish until after 1581 - about 40 years later than most other pueblos. 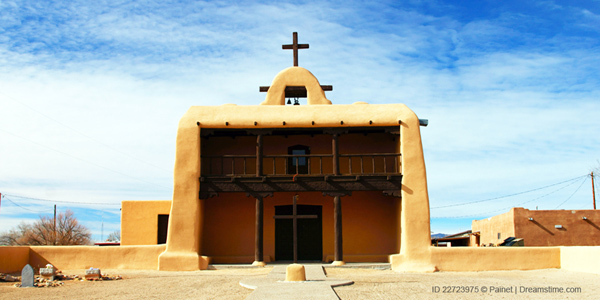 Life with the Spanish was taxing to the Cochiti people because of the endless mandatory tributes, the banning of traditional religious practices, slavery, and false imprisonment. So the Cochiti participated in the Pueblo revolts of 1680. Afterward, they fled to more defensible positions near their present-day village. In 1696 the Spanish came back and completely destroyed the pueblo. Living along the Rio Grande River, the Keresan-speaking Cochiti people irrigated their crops of beans, squash, and corn. 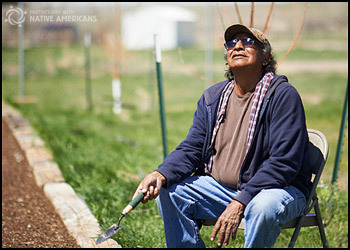 Today there is very little farming on this 50,000-acre reservation. The population here is under 2,000, and the Cochiti people are famous for their drum making and their story telling figurines.